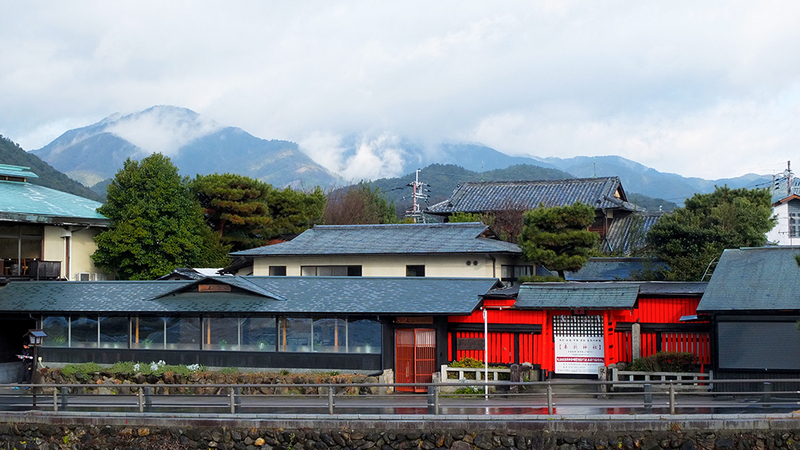 I have no words to describe my last Sunday here in Japan - I finally had a chance to visit the city of Kyoto. It felt like one of the dreams of my life coming true. I happened to be in Osaka for work and as it close to Kyoto I made a last-minute decision to change my trains tickets to Kyoto instead of coming back to Tokyo. I quickly booked a random hotel a night before with having no time for any research. 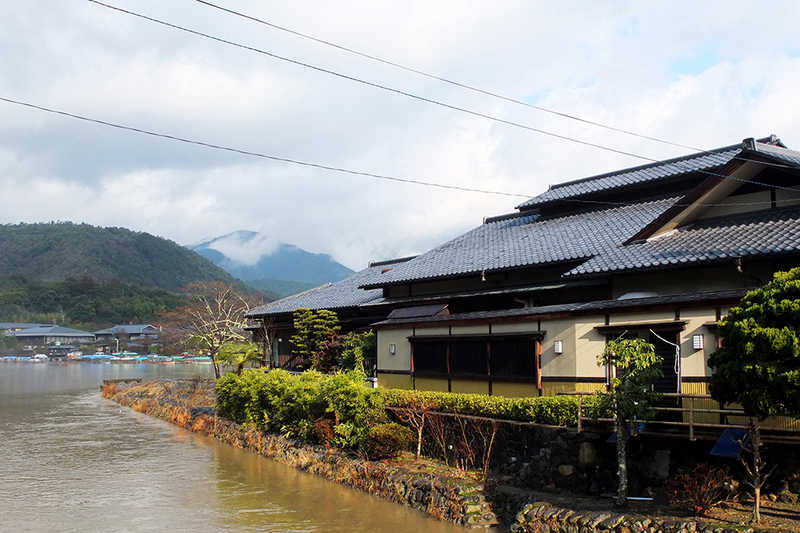 I couldn't believe my luck when I discovered my hotel is located by picturesque riverside across from Arashiyama. I woke up early - couldn't wait any longer to go outside and discover this amazing out-of-this-world place. This was the best decision ever, the stores were still closed, no tourists to be seen, only a few a locals doing their morning duties, as I walked over The Togetsu-kyo bridge, sun was shining bright, trees were glistening from the last night's rain and steam was rising above mountains. I felt as I was either still dreaming or woke up in a movie. 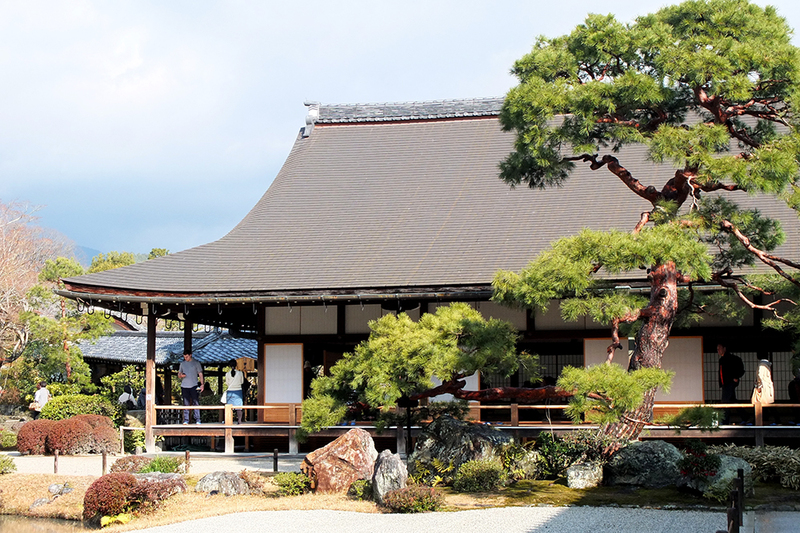 My first stop was Tenyru-ji aka "Heavenly Dragon Temple" and its Zen garden dating back to the 14th century. 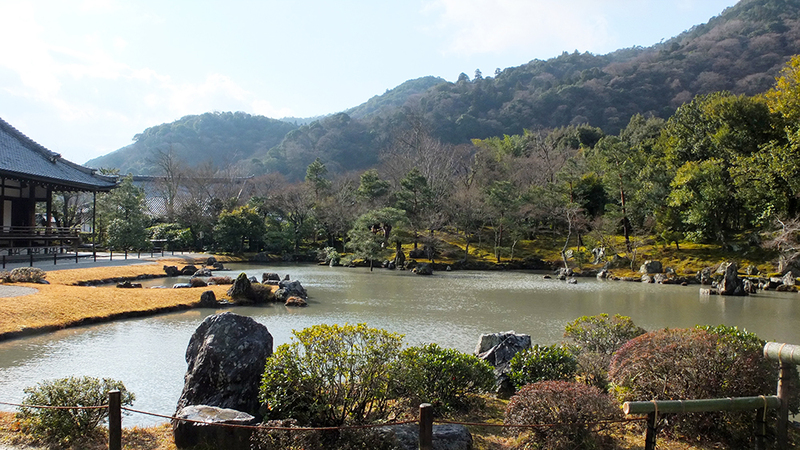 It is a great example of "borrowed scenery" using nearby hills of Arashiyama as a part of landscape design. 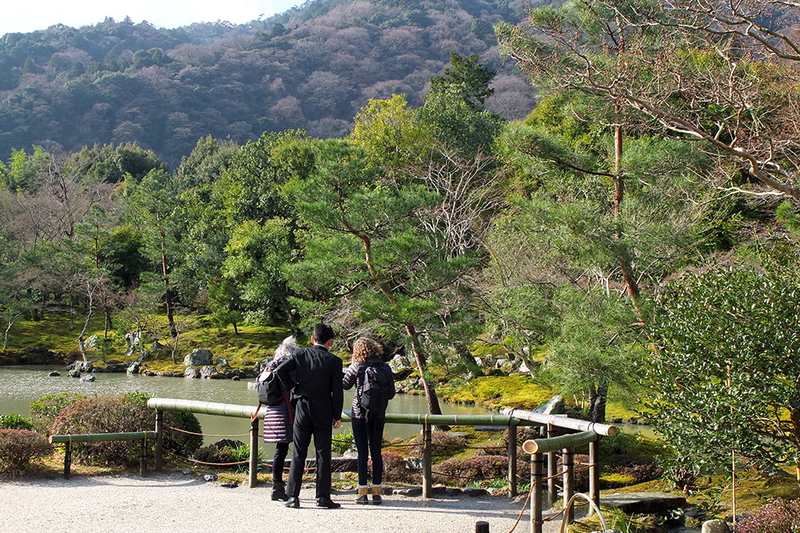 The temple visit was followed by a walk through the Arashiyama Bamboo Grove. 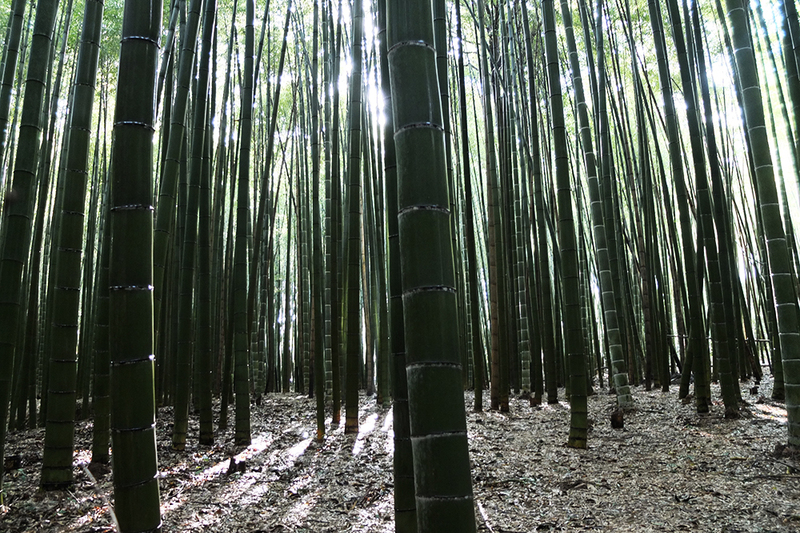 Photos definitely can't capture the feeling of standing in the midst of this bamboo grove, the sound that trees moving in wind make... it's something out of this world. After passing through the bamboo grove I ended up at the entrance of Okochi-Sanso, former private villa and gardens of famed film actor Okochi Denjiro (1898-1962). 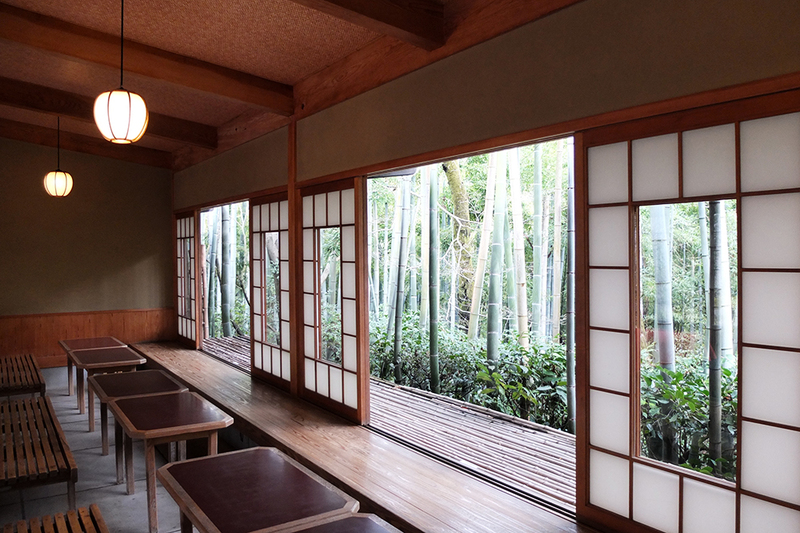 1000 yen entrance fee included a bowl of matcha and a traditional sweet at a tea house in the garden. Sitting alone at the tea house, feeling the breeze, listening to birdsong and enjoying excellent tea definitely added a lot to my visit . 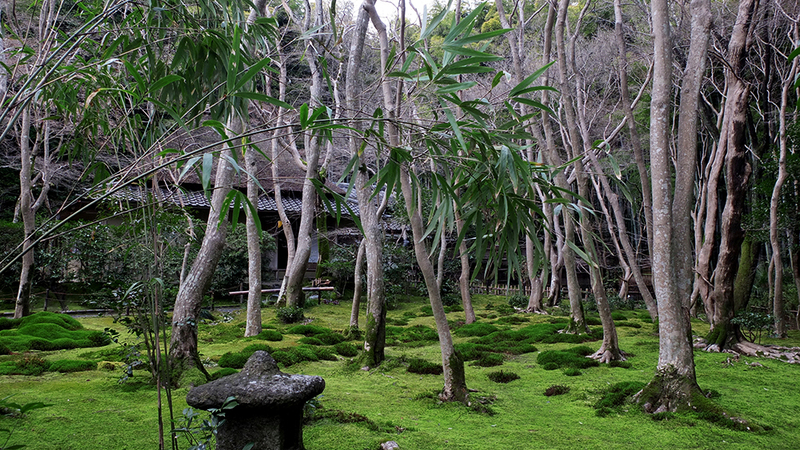 Gio-ji Temple and its luxuriant moss garden. I was so tempted to lie down there! After all that walking and climbing up and down the hills I was ready for a early lunch. The restaurants had just opened, so again, I was the only guest. 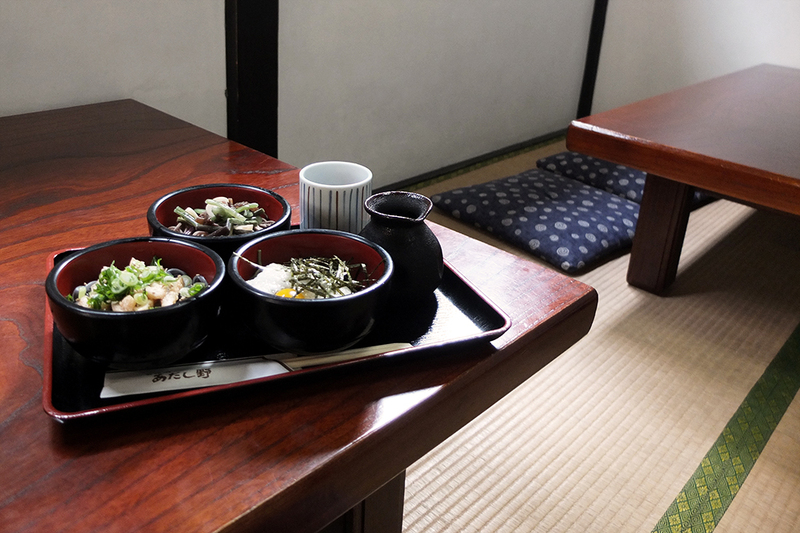 It was my first time sitting down and eating on a traditional tatami mat, far more comfortable than I thought it would be! Part 2 of my day in Kyoto following up soon!